In addition to those people who need our help immediately, we are also able to assist those who wish to arrange and pay for their own funeral in advance. 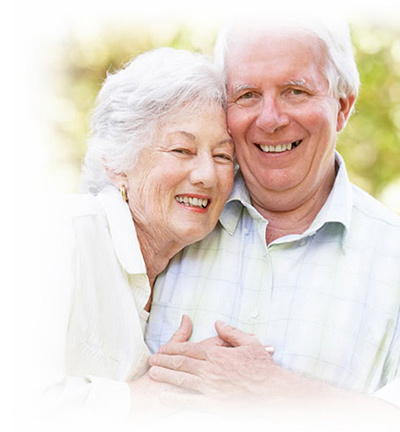 The Ivan Fisher Pre-Payment Funeral Plan is available to those who want the peace of mind that they will receive the type of funeral they would like, whilst knowing that at difficult time their loved ones will have fewer difficult decisions to make. One of the big advantages of a pre-payment plan over a savings account or life insurance policy is that you can pay now, at today’s price and no matter when our services might be required we can guarantee that our costs as the funeral director will be covered. There will be nothing more to pay as long as your requirements don’t change and we carry out your funeral. Our plans also include a contribution to essential third party costs, reducing the worry for your family at the time of need. You will also have the peace of mind that your money is held securely and ring-fenced for your funeral when the time comes. Our funeral pre-payment plans are provided by Ecclesiastical Planning Services Limited which is part of the Ecclesiastical Group and a registered member of the Funeral Planning Authority. Every penny of the full value of your plan (excluding the initial management fee) is held securely to pay for your funeral, and your funeral wishes will be clearly documented. There is no age limit, no awkward health questions, and unlike many insurance policies, when you have paid for your plan, you do not continue paying for life. Paying for your plan couldn’t be simpler, you can choose to pay in one lump sum or spread the cost over 1, 2, 3, 4 or 5 years to suit you. We appreciate just how daunting and confusing it can be when it comes to planning a funeral. With this in mind, we have designed our plans to be as simple as possible to make those difficult decisions just that little bit easier. This plan includes our complete service (as detailed below) plus the provision of a Balmoral (oak veneer) coffin fully fitted and lined to our high specification with a choice of handles. There is no limousine included within this plan. This plan includes our complete service (as detailed below) plus the provision of either a Balmoral (oak veneer) or Sandringham (mahogany veneer) coffin fully fitted and lined to our high specification with choice of handles. Also, the provision of one limousine (to seat up to seven mourners) is included. This plan includes our complete service (as detailed below) plus the provision of a Balmoral, Sandringham, Regent or Consort coffin (oak or mahogany veneer); all of which are lined to our high specification with a choice of handles. The provision of two limousines (to seat up to seven mourners in each) is included. This plan includes our complete service (as detailed below) plus the provision of either a Bamboo or Willow (wicker) coffin fully fitted and lined to our high specification. Also, the provision of one limousine (to seat up to seven mourners) is included. We understand that not everybody has the same ideas when it comes to funerals so we can tailor plans to suit your specific needs. If none of the plans we offer are right for you, simply contact us to make an appointment for an informal chat and a no obligation quotation. We believe that all of our clients deserve the same level of care and attention when it comes to their funeral regardless of which funeral plan they decide to choose. Our complete service includes everything you would expect us to do to ensure the funeral service is carried out carefully and with dignity – and it is included in all of our plans. What does our Complete Service include? We are available at any time day or night to bring the deceased into our care. We will take care of, prepare and look after the deceased until the day of the funeral. You will be offered the opportunity to spend time with the deceased in our Chapel of Rest. We will make all of the arrangements for the funeral, liaise with local clergy, celebrants, cemeteries, crematoria, caterers and florists and also provide the funeral director, chauffeurs and bearers for the funeral service. Home visits are available if required. We can give guidance to relatives or executors on the registration of the death and other matters relevant to the funeral. We will provide a hearse that can leave from a local address before proceeding to a local place of worship (if required) and onwards to the local crematorium or place of burial. We can receive flowers for the funeral and also process and acknowledge charitable donations in memory of the deceased. As part of the overall cost of each funeral plan, a set amount is included as a contribution towards the essential third party costs. These include minister/celebrant fees, church fees, crematorium fees, doctors’ fees and cemetery fees. These costs are outside our control and as such cannot be guaranteed. You can include a larger or smaller contribution towards these fees if you wish, please ask if you need advice on this matter. Would you like your documents sent in the post or by email?